I have a certain affinity for trademark infringement lawsuits relating to cookies and cupcakes (see here and here). So I couldn’t pass up posting about this cupcake dispute – albeit a little dated in the world of blogging. On May 14, 2010, Mini’s Cupcakes, Inc. (“Mini’s”) filed suit against Defendants LuAnn’s Cupcakes, Inc. (“LuAnn’s”) and Associated Food Stores, Inc. (“AFS”) in the U.S. District Court for the District of Utah. See Mini's Cupcakes v. LuAnn's Cupcakes et al, Case No. 10-cv-00457 (D. Utah). A copy of the complaint is available here (via Courthouse News). Local press coverage of the dispute here and here. Mini’s claims trade dress rights to the cupcake design pictured above – what the complaint describes as a “distinctive design that features vanilla cake, blue cream cheese frosting, and silver and white gems.” Mini’s refers to this particular cupcake as its "Breakfast at Tiffany's" cupcake. 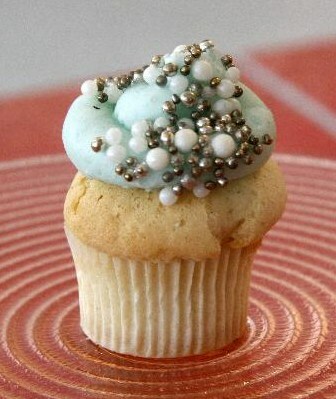 Mini’s claims that LuAnn's and AFS has copied Mini’s cupcake design with its so-called "Tiffany Jewels" cupcakes (pictured below) and has even approached one of Mini’s retailers in an attempt to sell its cupcakes – specifically stating that it looks like the Breakfast at Tiffany’s cupcake. A cease and desist letter was sent to LuAnn’s on April 20, 2010, to which LuAnn's apparently did not respond. 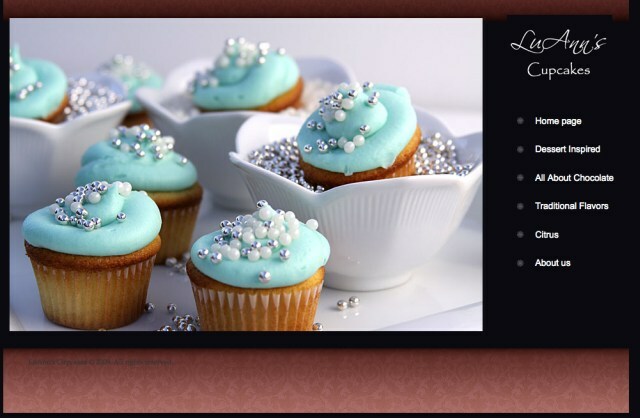 The complaint alleges that LuAnn’s has continued to sell the infringing cupcakes – although I could not find evidence of such cupcakes currently being promoted on the link of LuAnn's website noted in the complaint. With no federal registration to back up any claim of distinctiveness for her cupcake design, the key issue is whether consumers would recognize Mini’s particular design as distinctive trade dress or whether they would simply see it as ornamental (requiring Mini’s to show that the design has acquired a distinctiveness such that consumers would associate the particular cupcake design with Mini’s). Of course, given the proximity in which these two small cupcake owners compete, it may be easier for Mini’s to show that, in the small world of Park City, Utah, Mini’s cupcake design has acquired a bit of consumer awareness such that consumers do associate that particular design specifically with Mini’s and thus, Mini’s should be allowed to exclude competitors from taking advantage of the goodwill it has been able to acquire with respect to the cupcake design. What do you think?